One important element of analytics is sample size and it should not be overlooked. To draw a meaningful conclusion about an advertising campaign, one must accumulate a sufficient amount of data. Limited data can project unsustainable trends, and promote delusions of grandeur. For campaigns in which not enough data is accumulated, you can always tap into past campaigns, or competitor campaigns, to get a more detailed assessment of the target market. Furthermore, Plumbing Webmasters will help you through every step of the process. Walking the fine line between sample size and action can be a difficult task. This is especially true if you are advertising on your own, without the help of a marketing and advertising company. With that said, it can be hard to trust advertisers in today’s market. They are a dime-a-dozen, and often make promises they can’t possibly deliver. Furthermore, they are often out-of-touch with the plumbing industry and the contractors that work within it. 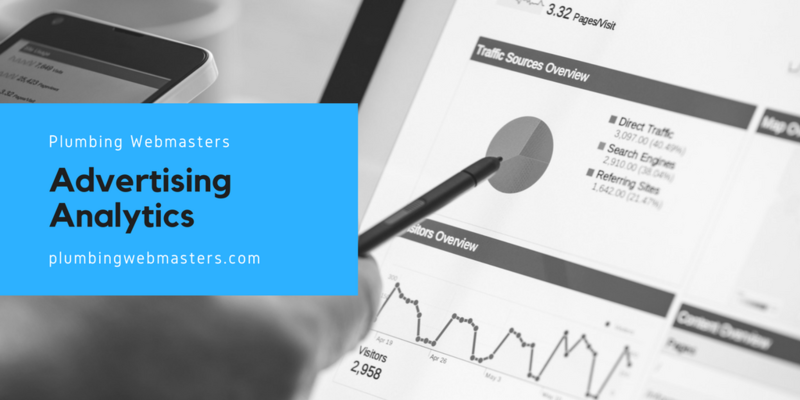 The good news is Plumbing Webmasters specializes in internet marketing for plumbers, and can help you get started with advertising analytics today. The most prominent and renowned digital analytics tool is Google Analytics. This free tool from the world’s top search engine provides invaluable insights to advertisers. 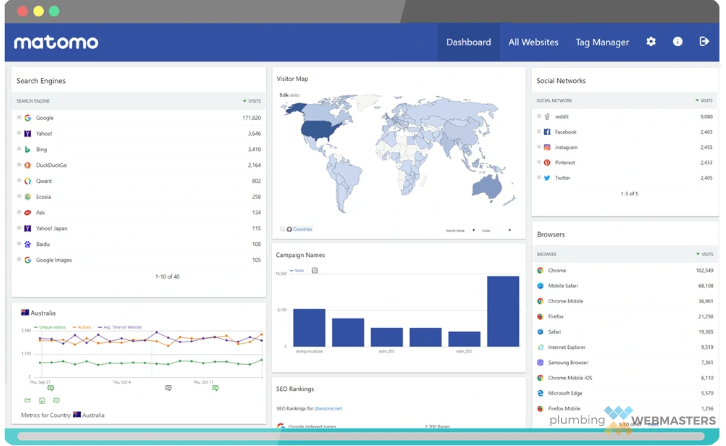 Through the dashboard, companies can track each advertising campaign and use the information to instruct adjustments in their strategy. Depending on the type of advertising you are pursuing, other analytical tools exist. Some of the more popular ones include Matomo, Clicky, and Open Web Analytics. Plumbing Webmasters can help you make use of the tools that best suit your company and its needs. There is no shortage of advertising companies available to plumbers. With many options comes a lack of overall trust, and a difficulty in making a final decision. How can you know which company is better than the next? It’s not easy. The problem for many contractors is that advertising companies don’t understand the plumbing industry or its target audience. At Plumbing Webmasters, the opposite is true. We have been working in this industry for years and know precisely how to reach consumers through advertising campaigns. Updated on April 10, 2019 at 8:16 pm by Plumbing Webmasters.